A best seller of ours and understandably so. This print is beautiful. 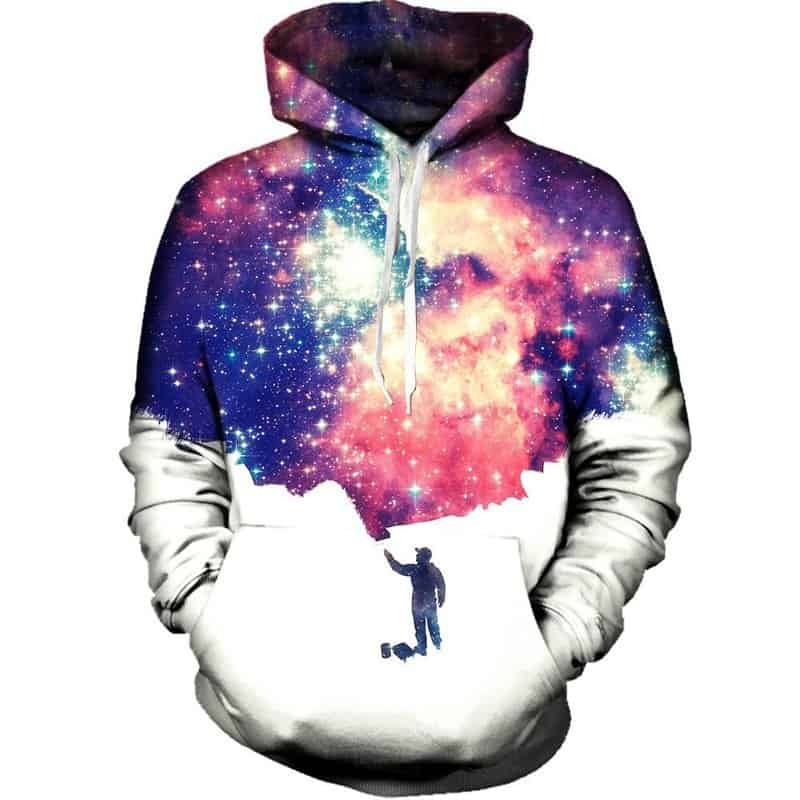 It features a guy painting the galaxy with the white hoodie color acting as a canvas. This Galaxy Painting Hoodie is a classic. The hoodie is comfortable to wear, looks fashionable and is wearable anywhere. It was designed for both male and female.